Rarely used TS515 training scull for sale, complete with Dreher carbon large blades and storage rack. 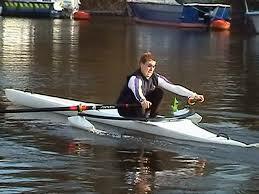 It is a light, stiff, stable boat for either learning how to scull or recreational sculling. It has removable stabilisers which are useful for beginners and solo explorers. Bought new about six years ago but only used about 10 times. Has lived in a garage for the rest of its life. Would like to be used!